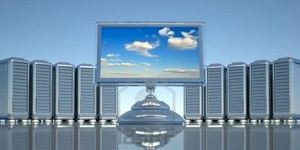 LAN (Local Area Network) Solutions are an excellent addition to a workplace. Networks allow users to share software and even peripheral devices, thus cutting down the expenses for computer equipment. P&O can assist your business by setting up a highly secure network. We can also install and implement a server for your network. WAN (Wide Area Network) Solutions provide clients the opportunity to connect remotely to their offices. This remote office connectivity is beneficial for those clients who have staff working from other locations. A remote user is able to share information and receive information with others at the central office via the network, thus cutting down on other communication expenses. P&O can implement remote connections to our secure Network to allow for remote service by our technicians to diagnose and often resolve problems without having to come to your establishment.